On Friday the UK press was awash with stories about a gardener who was killed by touching an aconitum plant. From what I read the unfortunate man simply touched (or brushed against or handled) the plant and died 5 days later. I am no coroner and I do not have access to more information than I read newspaper reports. But I find it difficult to believe that ‘touching’ an aconitum plant can really cause death. 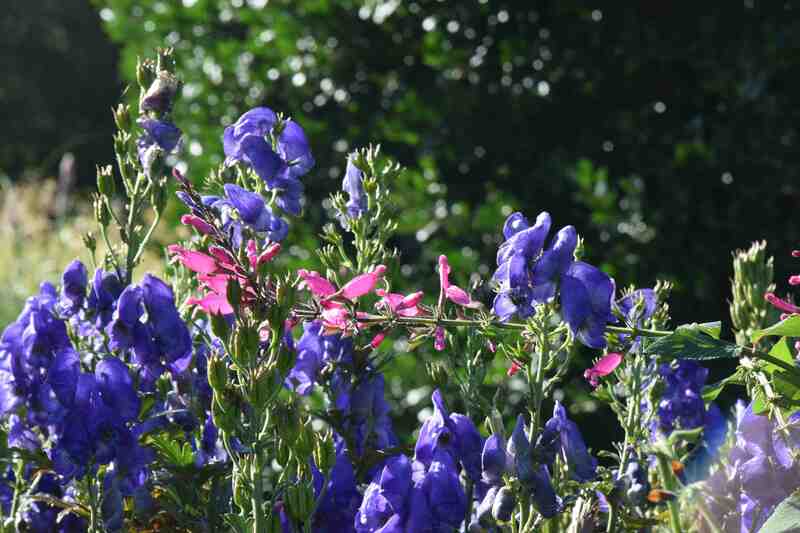 Aconitum have been used as a colourful and easily grown component of the garden for centuries and, although it is widely known that they are poisonous if ingested, they have been cultivated without incident. Indeed, they are a fairly common ingredient in ‘superior’ cut-flower bunches and gardeners have selected and bred many varieties. Their common names include wolfsbane (because they can be used – or was used – to kill wolves) or monkshood (because of the hooded flowers). They are related to delphiniums, which are also poisonous. It is known that the plant is poisonous to humans if eaten and it is possible that it may cause some sort of reaction in some people if in contact with the sap but just handling the plant seems an unlikely cause of death. I just hope that no hysteria follows this unfortunate incident because to ban or remove all plants that could cause injury from our gardens would give us problems and it is difficult to think of any plants that do not have some sort of possible side effect. 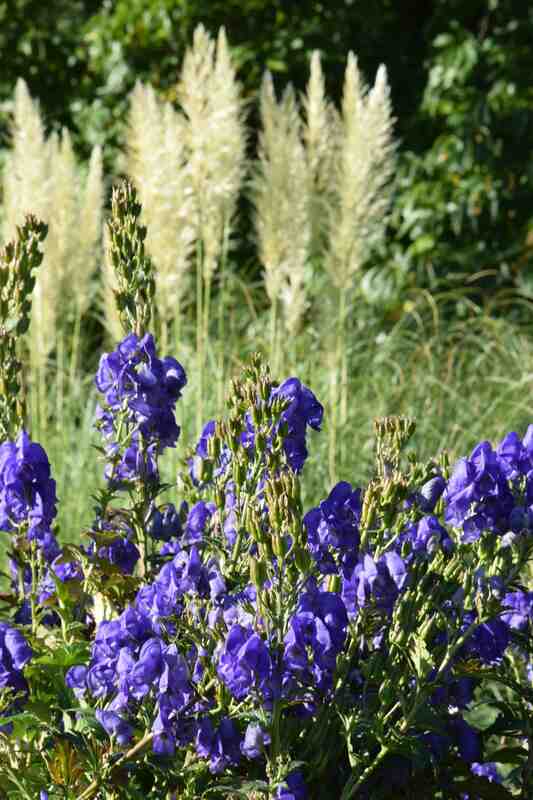 And we too have aconitum and lovely they are too…. Yes, I agree that it is possible to educate children – I came through the experience! One of my favourite plants – nothing eats them! & of course everyone loves blue. I find it far fetched, perhaps he was suicidal & ate the seeds hoping his life insurance would pay out attributing it to an accident! That is a good point – that they are pest-resistant. It seems a very rare case. Well, as they say, “It never did me any harm”! And I’ve had it in the garden for 23 years.